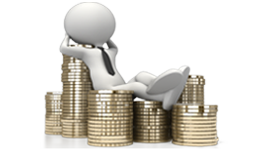 Affordable Investment Loans in Melbourne. Call 1300 468 733. One of the most important factors in being able to create wealth through property investment is selecting the right finance strategy. Buying an Investment Property can help you create wealth for yourself and your future generations, if you leverage off the property correctly. To find out your Maximum Borrowing Capacity, Best structure for you to purchase your next investment property or What is the best Interest Rate available to you – Complete this Short Questionnaire and we will get back you with 24 hours. Finance Strategy – With our out-of-the-square thinking, we create a strategy that is tailored your unique requirements like lowering tax, creating wealth etc. Loan Comparison – We provide you with a comparison of Top lenders and why to choose one over another. Property Investment analysis – We provide property investment analysis to give you an exact view of how the investment will work for You! Lender Selection – We select lenders to Maximise Borrowing capacity, long-term finance strategy and asset protection – rather than just interest rates & fees. Loan Structures – We structure loans for long term benefit of our clients. Market valuation & Suburb Profiles – We provide Comparative Market Analysis for your chosen property before you get into the actual transaction. We also provide detailed suburb research.